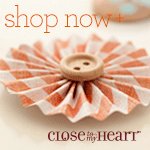 Celebrate 30—A Special Anniversary Gift for You! Get a great deal on bundled products in June! 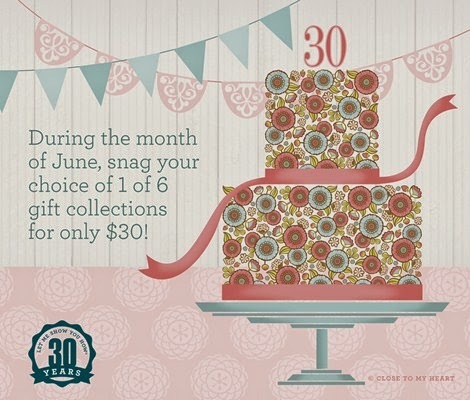 In honor of our founder and CEO Jeanette Lynton’s 30-year anniversary in the stamping and scrapbooking industry, when you place an order totaling $50 during the month of June, you can add your choice of one of six great gift collections to your order for just $30! Each collection has an original retail value of at least $50—some even as high as $65. Plus, each collection is perfectly tailored to fit a variety of interests and styles. They feature every-thing from gift bags to ribbons to washi tape to alphabet stickers—and much more! So make sure to take advantage of these savings and snag your own collection for just $30. It may be Jeanette’s anniversary—but you get the gift! Valid June 1 - 30 or while supply lasts.